January 26 holds different meanings and memories for Australians. You might be solemnly reflecting on our history, firing up the barbie – or perhaps, it’s just an ordinary day. Whatever your walk of life, what binds all Australians is our love of our nature. Our bush, our parks, oceans and wildlife have shaped us – both physically and culturally. Last year, our Doodle celebrated our big blue backyard, the Great Barrier Reef. Today, we’re continuing our Street View journey to Port Campbell National Park and Twelve Apostles Marine National Park. With guidance from Parks Victoria, today’s Doodle celebrates the unique terrain, flora and fauna of these precious parks. Located along the southwest coast of Victoria, the park’s cliffside viewpoints overlook its most iconic sight: seven pillars of stacked limestone, battered by wind and waves, that rise above the crashing surf. Below the surface is a seascape of canyons, caves, arches, and fissures – which are home to marine life such as sea urchins, lobsters, and abalone. On the beach, visitors may spot the rare hooded plover at the water’s edge – one of many endemic species found only in Australia. Today’s Doodle depicts a trio of hooded dotterels and is framed by the vibrant, endemic purple clover glycine. However you choose to spend today, we invite you to click on the link below today’s Google Doodle to explore the trails, cliffs and vistas of Port Campbell National Park and Twelve Apostles Marine National Park on Street View. With audiobooks on Google Play, rolling out today in Australia and around the world in nine languages, you can get stuck into a page-turner without lifting a finger. 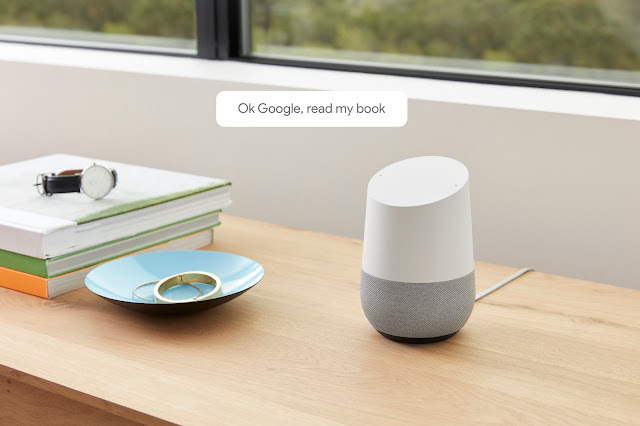 Just say “Ok Google, read my book” to listen to your favorite audiobook hands free with the Google Assistant on your Google Home device, smartphone or speaker. Try “Ok Google, who is the author?” if you need a refresher, or “Ok Google, stop playing in 20 minutes” to set a timer for bedtime reading. The Google Assistant integration with audiobooks is available on Android and smart speakers in Australia. On Google Play, you can buy a single audiobook at an affordable price, with no commitments. You can also get a free preview of the book to make sure you’re hooked by the story and enjoy listening to the narrator’s voice. 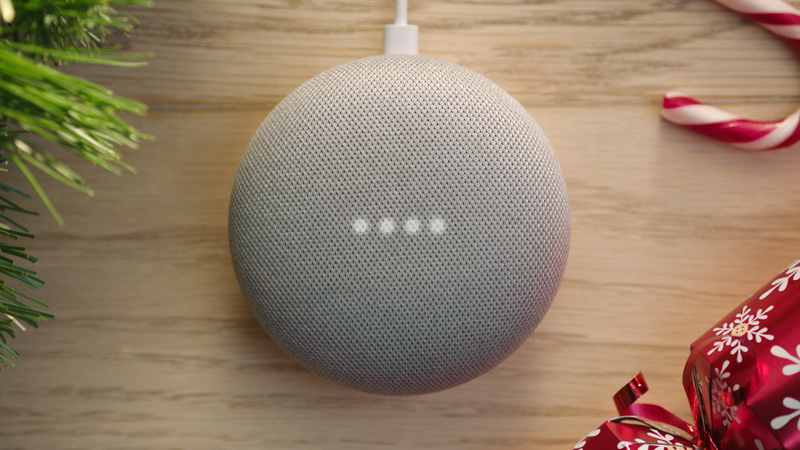 Start your morning by listening to “Ready Player One” with the Assistant on Google Home, and continue listening with the Google Play Books app on your Pixel. 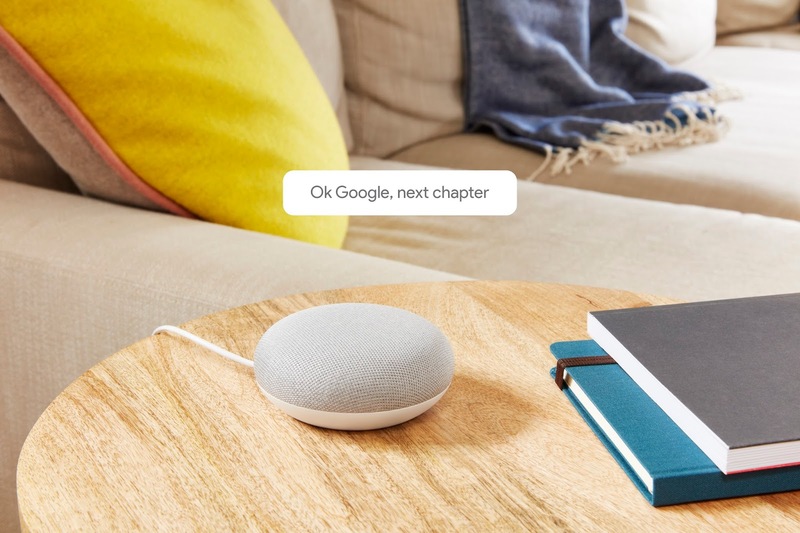 You can pick up where you left off no matter what device you're using, with the Assistant or the Google Play Books app—on Android, iOS, Chromecast, Android Wear, Android Auto or even your laptop. And share your favorite audiobook with everyone in the family through Family Library for no additional fee—even if they’re using a different device. Now, when you want to curl up to Australian classics like May Gibbs’ Snugglepot and Cuddlepie, learn Astrophysics For People In A Hurry from Neil Degrasse Tyson or spend a Sunday with Love your Sister by Samuel and Connie Johnson, all you have to do is say “Ok Google, read me my book….” to settle into the sounds of your new favorite audiobook.